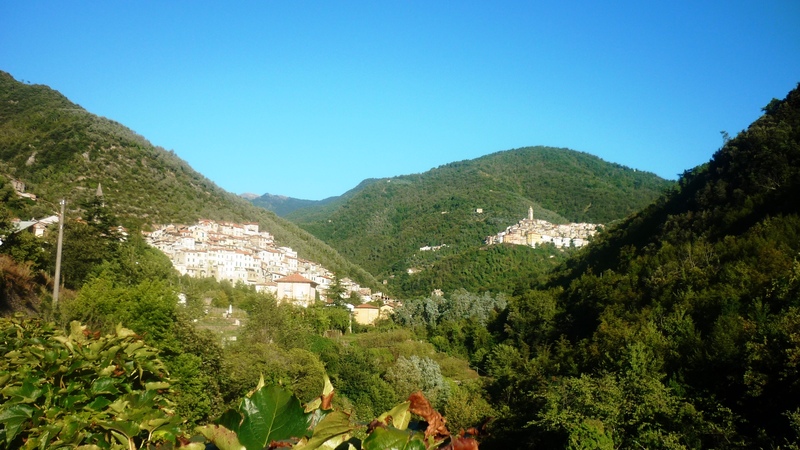 The villages of Pigna and Castelvittorio in the beautiful Nervia valley, a short hop from the French Riviera and a great culture shock! An effortless excursion through the Nervia valley in Italy to the villages of Dolceacqua, Rocchetta Nervina, Isolabona, Apricale, Pigna and Castelvittorio, as well as some recommended restaurants. Just across the border into Italy, the valley of the Nervia river (more colloquially known as “Valnervia”) is located just behind the eastern sections of Ventimiglia and is one of my favourite coastal valleys of the Riviera, with a winning combination of beautiful scenery, picturesque medieval villages and great Ligurian food at reasonable prices, all within only about 40 minutes drive from Monaco or an hour from Nice!